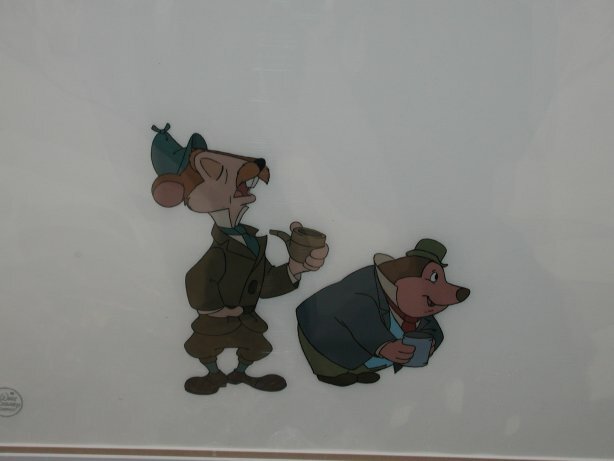 This is a rare cel of Mole and Rat from Mickey's Christmas Carol (1983). The untrimmed cel is framed and the image measures 6" x 7". The frame shows signs of wear and will need to be replaced. It has a Disney certificate and seal.